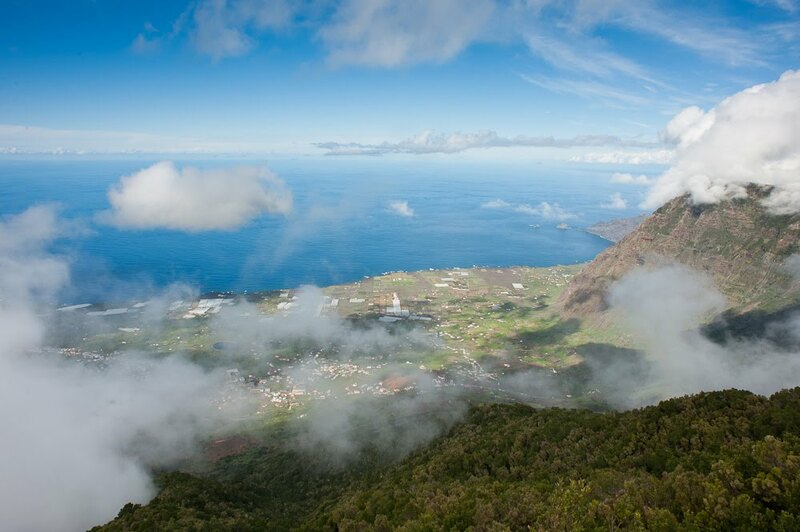 Will all my Canary Island blog posts focus on clouds? I came back from breakfast this morning to be greeted by a view of the neighbouring island of La Gomera, a view that Lonely Planet claims can only be experienced "on a rare clear day". Thinking that the peak of the island might be free of its hitherto permanent bank of cloud I jumped in the car and set off upwards post haste. My hunch paid off and I took full advantage, touring the high lookouts. I took a walk through the (cloudless) cloud forest, dripping with moss, and then returned to the cliff edge for the big views. Just after I got there the wind seemed to change direction and started to blow in towards me from the North. Clouds started to form below me as the warm air hit the cliff and began to rise, and within ten minutes I was lost in cloud, the views gone for the day. Glad I got up there when I did!